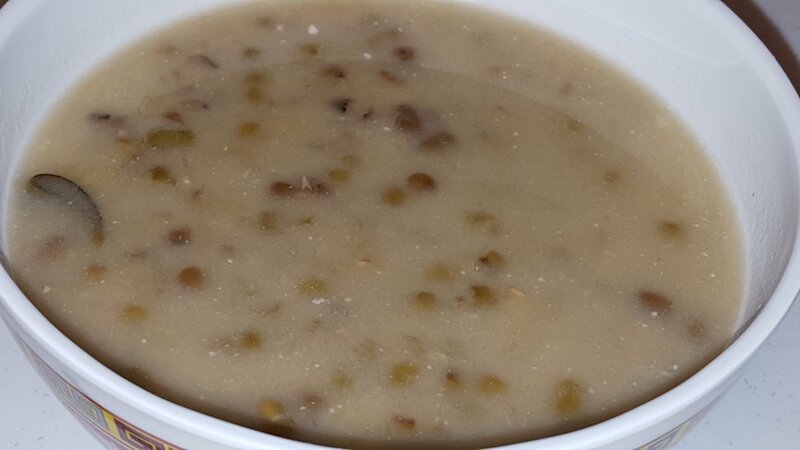 Where I came from, Indonesia, we eat mung bean as a dessert drinks, serve warm or cold with ice. I have been craving for this and since tonight the weather is cooler, I think it is perfect for this. Instant pot definitely make it easy. I did 15 minutes tonight, but I think 12 minutes should be ok, plus npr just until the pressure is down. 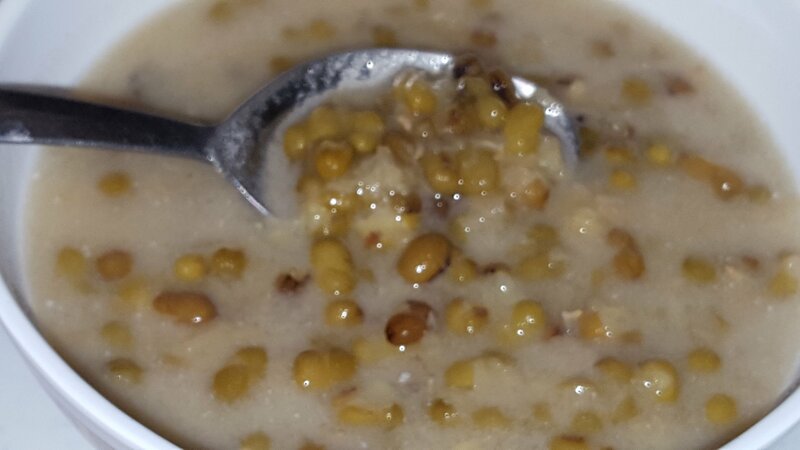 I remember my neighbour when i was in grade school, made this mung bean in the old scary pressure cooker. She openned the lid before the pressure all down, boom…the ceiling were covered by the beans. Thank God she was not injured. Add all but sugar and coconut milk. Closed the lid and vent. Manual 15 minutes, npr just until the pressure button down. Stir in the sugar, if you like it sweeter, add more. Turn off the pot, pour in coconut milk and stir. Serve warm or add ice. Next Post CookBakeEatHappy is a participant in the Amazon Services LLC Associates Program, an affiliate advertising program designed to provide a means for sites to earn advertising fees by advertising and linking to Amazon.com. I grew up with this. My son can’t pass the thought that it is beans and dessert. For him beans equal savory dish.